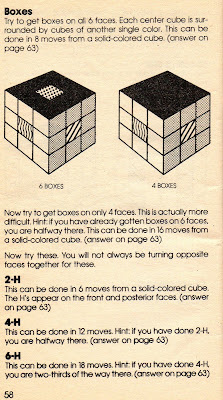 You can't have a blog about the 80's and not mention the Rubik's Cube... and his cousins: the Pyramid and the Snake. Beginning with cube, these were all hot-selling items in the mid-80's. 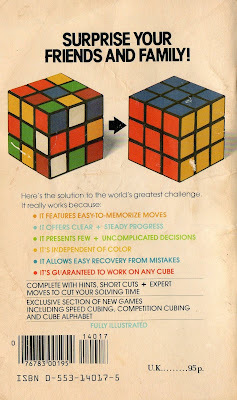 The original Rubik's Cube remains the best selling toy - EVER! It has sold over 300 million units worldwide. 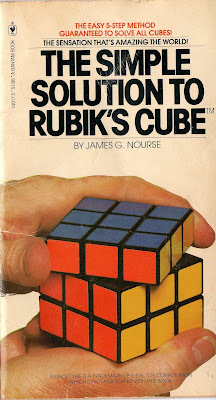 The cube has been responsible for "Cubaholics", two medical conditions called Rubik's Wrist and Cubist's Thumbs, an official organization called "Speedcubing" and it's even been blamed for a 1981 divorce. 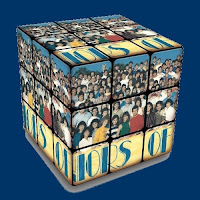 Read about these and other fascinating cube facts here. Let's start with Rubik's Snake. Let's also just lay it out on the table here that I'm still a bit of a nerd with these things... I can still solve the snake - even with my eyes closed. I said "a bit of a nerd"... I'd be a full-fledged geek if I actually caught myself on video solving this thing and posted it here on the blog. Ok... I did consider it. The object, of course, is to take the snake - stretched out straight - and turn it into a ball (mine is pictured above, proving that I can still solve it, for you skeptics out there). I'm not really sure of the secret... seems to be just a serious of twisting moves that are repeated several times. I solve mine more by instinct than anything else. The Pyramid isn't quite as fun. I used to be able to solve mine - couldn't tell you how - but I think one of my kids pulled a piece out and replaced it incorrectly, so I've given up on it. I do have two sides solved though. 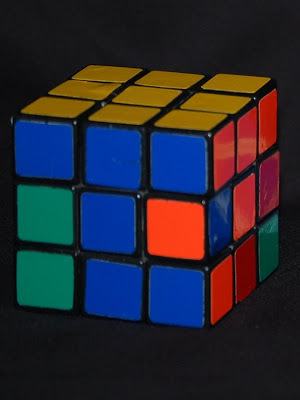 And finally, Erno Rubik's Cube that started it all in 1980. How many of you would end up in frustration and peel the stickers off and replace them in the right sequence? 43,252,003,274,489,856,000 different possible combinations. What a great toy! 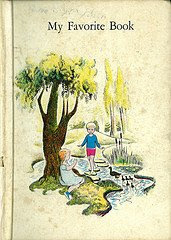 Here's a sample page. 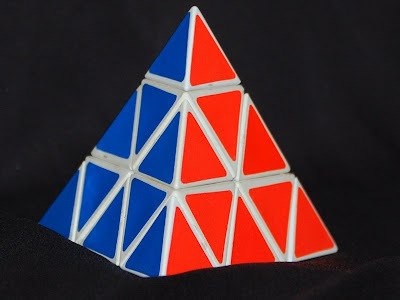 A friend of mine told me that if I could solve one side as well as the top edge, all I'd have to do is memorize a short sequence of RIGHT and LEFT turns & twists and the rest was easy. I committed the formula to memory in hopes of being the coolest nerd in the Sheridan Middle School, but I soon found out that solving the cube doesn't solve your social problems. There are a myriad of video tutorials on YouTube, in case you wanna learn for yourself and beat Andrea Winston in the Speedcube competetion at the reunion. I have never yet let anyone touch my Rubik's Cube or Pyraminx or Missing Link key rings (I never did get the full-sized versions). I was too afraid they'd get mixed up. I still have them as perfect as they can be. I think I still have my snake somewhere. I used to be able to do the "ball" and the "cobra" with it. I found one at my aunt's house awhile back and was dismayed to go blank in the middle of trying to make the ball. "Brain farts" have become more frequent with "middle" age! Can anyone else relate? what was the one with the linked chain on it called? 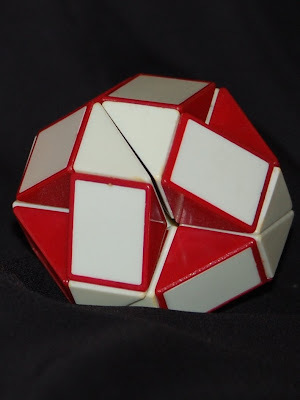 @Romany - Not sure... was it "Rubik's Missing Link?"